Orthopaedic Surgeon – Marc J. Breslow, M.D. 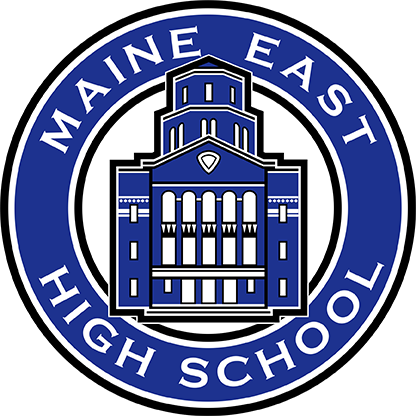 Maine East students – Do you like sports? Do you like medicine/science/kinesiology? Or maybe you enjoy both? If so, this is the perfect opportunity for you!! What does a Certified Athletic Trainer do? People these days are on the move. We’re learning more, trying more, and doing more, and when the level of physical activity increases, the risk for injury rises as well. Certified Athletic Trainers are highly qualified medical professionals educated in preventing, recognizing, managing and rehabilitating injuries that result from physical activity. Athletic Trainers can help you avoid unnecessary medical treatment and disruption of normal daily life. If you are injured, athletic trainers are trained to work with you and your healthcare provider to get you healthy and keep you on the move. As part of a complete healthcare team, the certified athletic trainer works under the direction of a physician and in cooperation with other healthcare professionals, athletic administrators, coaches and parents. The certified athletic trainer gets to know each patient/client individually and can treat injuries more effectively. Meal Plans are as critical as a game plan. Check out Daily Specials to see different meal plans for different situations! Free Radicals can slow muscle tissue recovery and impair performance, but taking advantage of antioxidants can help ward off these effects. Check out Lisa Dorfman’s article on Antioxidant Armor to learn more! Please watch the ESPN report Outside the Lines: High School Concussions to understand the importance of reporting symptoms after a concussion or any head injury. A Thor Guard Lightning Prediction System is in use at Maine East High School. This system detects the atmospheric conditions that could produce lightning, then sounds an audible alarm and flashes strobe lights early enough for everyone to take shelter before an actual lightning strike occurs. 15 Second continuous horn blast, strobe lights flashing – Potentially Dangerous Conditions – Take shelter in the main school building or in your car (be sure not to touch any metal surfaces). Three 5 second blasts, strobe lights off – Dangerous conditions have passed, and participants may resume normal outdoor activity. You should still be aware of weather conditions, as the system is not foolproof and there may be occasions where you see lightning but the system does not activate. In these cases count the seconds from when you see the flash until you hear the thunder. The IHSA has adopted the “30-30 rule”. In the absence of weather warning equipment, play should be suspended and everyone should take cover if the flash-to-bang count is 30 seconds or less, and should not resume activity until 30 minutes after the last lightning flash. If caught in the open during a thunder and lightning storm, go inside the nearest building immediately! IF no shelter is available, crouch down immediately in the lowest possible spot and roll up in a ball with feet on the ground. Do not lie down. If outdoors during a thunder and lightning storm, avoid water. Also avoid metal objects such as wires, fences, railroad tracks, etc.